Inspired by the golden age of cinema, the Luna Dining Chair epitomises Hollywood glamour. 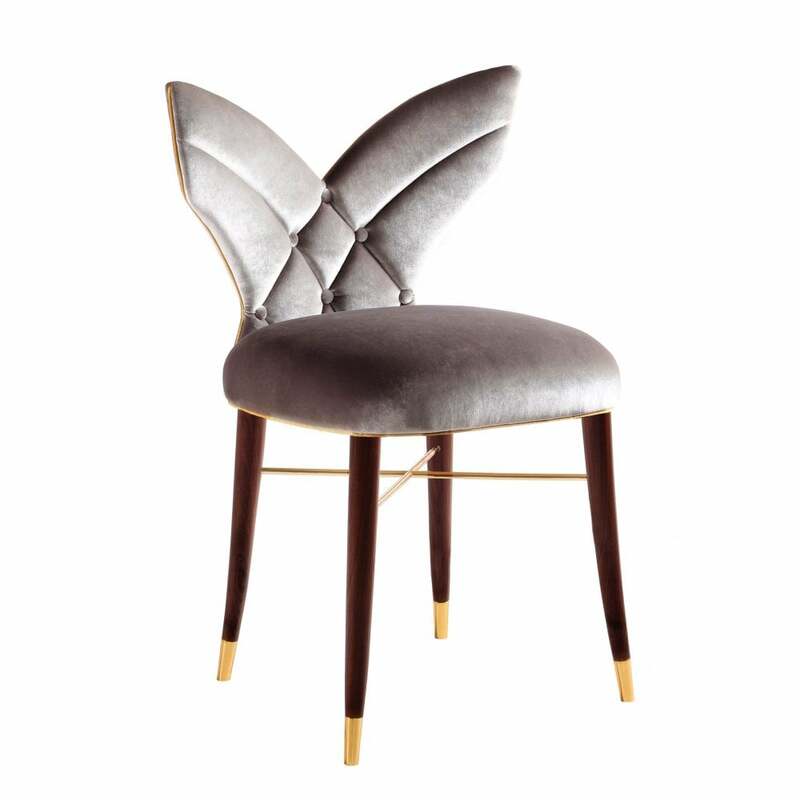 The curved frame features a statement winged backrest with beautiful button detailing. The deep seat is supported by solid walnut legs with Ottiu’s signature brass accents. The feminine style is upholstered in the finest quality cotton velvet to provide maximum luxury and comfort. This striking chair will suit both modern and period dining room schemes. We love Luna in a pale silver fabric that shows off the high gloss finish and skilled craftsmanship. Make an enquiry for bespoke options.